Baton Rouge, LA – January 19, 2012 – Baton Rouge residents will have the chance to express their opinions and feelings about the city on billboards all over town. 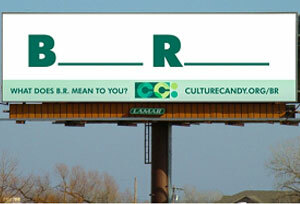 Baton-Rouge based Lamar Advertising Company (NASDAQ: LAMR) teamed up with Culture Candy, a cultural organization dedicated to fostering the growth of creative communities in the Baton Rouge area, to launch a digital campaign allowing residents to display their wit, intellect and passion on 13 digital billboards across the city. 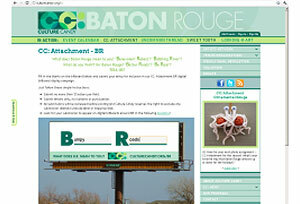 For the next two months, residents can visit culturecandy.org/br and fill-in the blanks with two words that begin with B and R, creatively expressing what they think of Baton Rouge (Bumpy Roads, Best Redfish, etc.). Submissions cannot exceed 12 letters per field and must be letters only (no numbers or punctuation). Select messages from the Culture Candy website will be streamed live on Lamar’s digital billboards. Culture Candy hopes the digital campaign will illustrate how innovative programming involving community conversation can progress Baton Rouge to become a more vital and inviting city. The digital campaign will run through March 24, 2012. 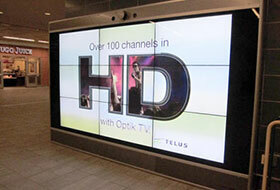 Lamar Advertising Company has 1200 digital billboards across the U.S. and Puerto Rico. 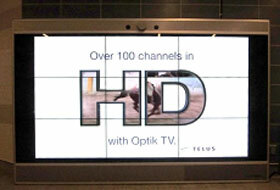 Lamar Advertising Company has partnered with Monster Media Canada to light up the public transit system of Canada with a Monster Wall: believed to be the first interactive large LCD screen in a Canadian public transit system.